When thinking about ways to add value to your business, paying tax may not be the first thing that springs to mind – but that’s exactly what we’re going to advise you to do. As business owners ourselves we know tax is an unpopular topic for you. We know how hugely dispiriting it can feel when you receive your final tax bill from your accountant; but have you ever considered that paying your taxes now could help to line your pocket in the future when you come to sell your business? Whilst many business owners are off picking their accountant’s brains for legitimate techniques for mitigating tax, they probably haven’t considered the fact that these methods designed to reduce tax could actually be having a harmful effect on the value of their business. Please note, we are not talking about increased benefits for the owner, such as pension contributions, but more hidden ones like stock write downs etc, which cannot easily be added back when looking the value in a sale. If you’ve ever employed techniques to reduce your business’ tax bill then you will know that this often involves reducing your profit figure. If you can manage to reduce your business’ profit figure by £100, then you stand to save either £20 in corporation tax or even £40 in personal income tax. These figures look great in the short-term as they mean a smaller payment to the taxman and more cash kept in your business or back pocket. But how about if we told you that for every £100 you reduce your business profit by you could devalue the business by £200 – £400! I bet these short-term gains suddenly don’t look so attractive, especially when considering your business’ exit strategy. Even after entrepreneur’s tax at 10% on the gain from the sale, you’ll still receive 90% of the additional value acquired when paying tax as normal and recording your profits without the taxman in mind. In other words, every £40 saved in corporation tax could actually be costing you up to £360 when selling your business. On top of this when a business is sold then you would probably wish to receive full value for the saleable stock. A little hard to argue if previously written down and if you revalue at full cost, you end up paying the tax anyway! When you come to sell your business, your accounts will not only affect the value of your business and your final sale price, they also help to dictate how much potential buyers can borrow towards the purchase. By avoiding tax reducing techniques and keeping your business’ profits (and thus value) high you are likely to get more interest and a better deal, i.e. more cash when you sell. Also, you can probably sleep safer at night, knowing you are giving the buyer minimal scope to claim under the tax indemnities if he finds something he is not happy with after sale. In our experience reducing profit in business accounts to pay less tax is often a short-sighted move. Business accounts should always be a true and fair reflection of your company’s financial position. We, therefore, advise businesses to take the hit with their taxes now to reap the rewards in the future; this advice is particularly pertinent if you are planning on selling in the next few years. Thinking about selling your business and looking for more professional advice? 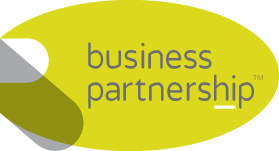 Get in touch with one of our skilled and experienced regional partners for discrete advice about selling your business. Just some of the areas we can help you with include valuation, negotiation, preparation, finance and legal matters.